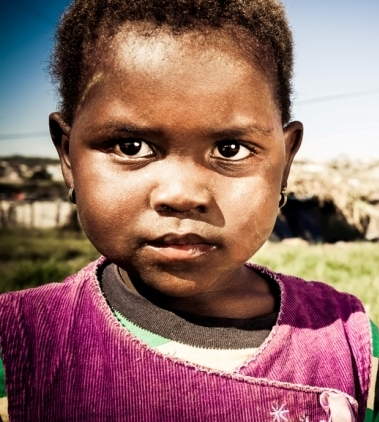 » Ending Extreme Poverty: Wives of African Leaders Honours Jose Foundation. Wife of Kogi State Governor, Amina Oyiza Bello, (left) and the Country Director, Jose Foundation, Dr Eunice Ameh-Pius, when the foundation was awarded the ‘Champion in Ending Extreme Poverty’ at the Coalition of Wives of Presidents and Vice Presidents in Africa for Peace (COWAP) Summit in Abuja. 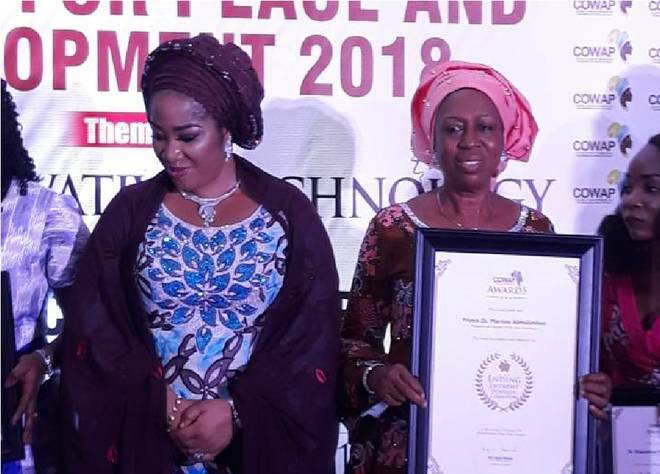 The Coalition of Wives of Presidents and Vice Presidents in Africa for Peace (COWAP) has honoured Nigerian international humanitarian organisation, Jose Foundation for its efforts and philanthropic activities in championing the cause of women and children in ending extreme poverty in Africa. The award was given to the humanitarian organisation at COWAP Innovation Gala and Award Ceremony held in Abuja. The event was part of the maiden edition of the COWAP Summit which brought together a thriving community of both current and past female Presidents, Wives of Presidents and Vice Presidents in Africa to brainstorm on ideas that create sustainable peace and development in the continent. Announcing the award, project lead, COWAP, Meshack-Hart Kalada .B., said Jose Foundation was selected for the honour in recognition of the “Foundation’s selfless community service especially towards supporting innovative, impactful and lasting initiatives in low income countries that promote women’s economic and social development that is closely aligned with COWAP’s global development goal of putting an end to poverty in all its forms everywhere”. COWAP particularly commended the founder of Jose Foundation, Prince Dr. Martins Abhulimhen, for emerging as this year’s overall “CHAMPION in the ‘Ending Extreme Poverty Category’ of awards given”. Receiving the award on behalf of the Foundation, country director, Jose Foundation, Dr. Eunice Ameh-Pius, while thanking the wives of African leaders said the Foundation is passionate on matters of child sexual exploitation and are committed to put an end to the scourge in Nigeria. “The award will propel us to do more for the good of women, children and the vulnerable in the society. “We are also planning a workshop on child sexual exploitation scheduled for June 11-14 in Abuja to sensitise stakeholders on how to deal with issues concerning CSE and we hope all of you will grace the occasion for the sake of the future of our children,” she said. Jose Foundation was founded in 2003 by Prince Dr, Martins Abhulimhen and guided by the principle of excellence, pioneering and generosity true to its founder. It has taken its advocacy against child sexual abuse and child labour to several places including IDPs camps, sports centers, government ministries, homes of celebrities and international organisations including the United Nations all in a bit to end sexual exploitation of minors and women. Previous Post Rotherham abuse whistleblower takes lessons to Nigeria Next Post Ghana First Lady To Attend Abuja Workshop On Sexual Abuse.